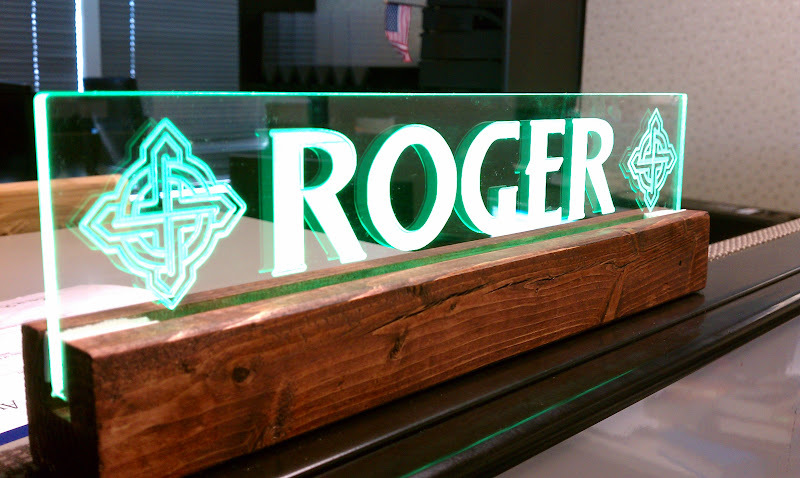 Here is my first stab at an Illuminated Acrylic Nameplate. 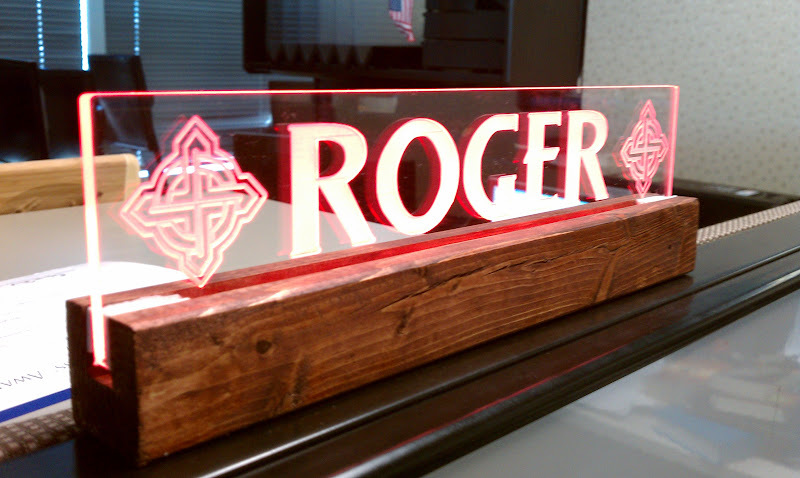 cybertech99 wrote: Here is my first stab at an Illuminated Acrylic Nameplate. Nice Job, well done. I'm assuming the engraving artwork is mirrored and then cut on the back side of the perspex material ? I have learned to do that now, but this one you are seeing is the milled side. 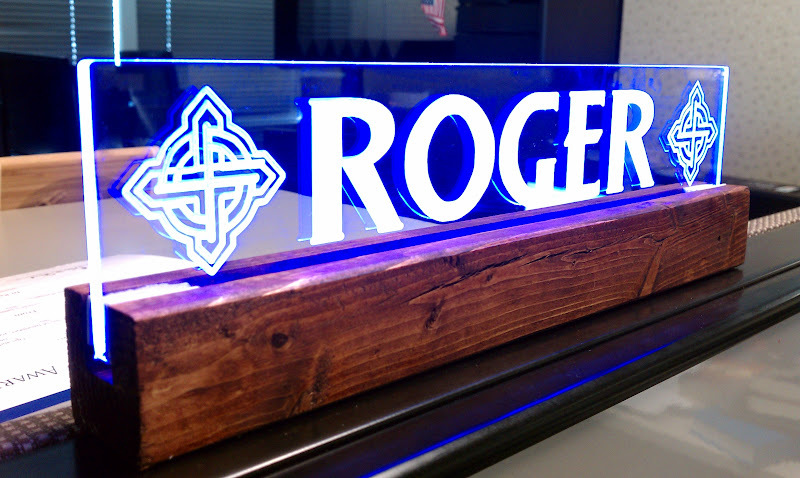 Would you mind sharing the lighting details? Dropout wrote: Would you mind sharing the lighting details? This what I use for these projects. Thanks for the link you do great work..